Hello everyone! I sincerely apologize for my delayed posts for diVERSEity month. I was so very excited about this, and then I got hired for about seven different writing positions and everything became extremely stressful. BUT I am back. And I will finish these posts before the month, I promise. Now, without further ado, I have the pleasure of introducing you to verse novelist Holly Thompson! She is the author of two verse novels, Orchards and, her more recent release, The Language Inside. I had the opportunity to interview her on the topic of this new novel which deals with the ideas of immigration through verse. 1. Welcome, Holly, care to tell us a little about yourself? Thank you! Well, I grew up in Massachusetts, and in college majored in biology with a plan to be a wildlife biologist, but also studied creative writing. After college, I married, taught science and English, then had my first stint in Japan, wrote more and more stories, attended the Creative Writing Program at NYU, and from then on focused on writing and teaching, in the U.S. and Japan. 2. When did you start writing? Did you start with prose, poetry or did you go straight into narrative verse? I started writing poems in middle school. One of my poems was performed on Zoom, the PBS TV show. Some poems had plot in them. Some I can still hear in my head. Sadly I don’t have copies of any of these. I continued to write poetry and stories all through high school, but in college I shifted my creative writing focus completely to fiction. Still, I was always secretly writing poems, and my prose sometimes seemed to want to be poetry, and my poems often tended toward narrative. So it’s natural and logical that eventually I started writing verse novels. 3. Do you prefer writing with pen and paper or a keyboard? I always carry small notebooks with me for notes, scribbles, scraps of ideas and plotting thoughts, and poem lines, but I do my serious writing on a computer. 4. What are some of your favorite novels in verse? Do you have verse novelists who are inspirational to you? I am always impressed by and inspired by Helen Frost, though her approach, writing in form, is quite different from mine. Karen Hesse, of course, has inspired so many of us verse novelists. Sonya Sones and Ellen Hopkins have provided me with such important guidance, encouragement and motivation along the way. And so many poets have inspired me—Lucille Clifton, Garrett Hongo, Gary Soto, Li-Young Lee to name a few. 5. How did you gain inspiration for The Language Inside? What compelled you to tell this story? While I was a graduate student at NYU, I volunteered at Goldwater Hospital in the poetry workshops led by Sharon Olds. One of the patients I worked with was Julia Tavalaro, who’d had a series of strokes and relied on little more than eye movement for communication. My blog post The Language Inside and Inspiration from Poet Julia Tavalaro tells about this experience and Julia’s incredible tenacity. I knew I wanted to write a story about a girl who works with a woman like Julia, and in The Language Inside, Japan-raised Emma has such an experience when she is moved from her home in Japan to Massachusetts for her mother’s breast cancer treatment and volunteers at a long-term care center to assist the patient Zena in writing poems. 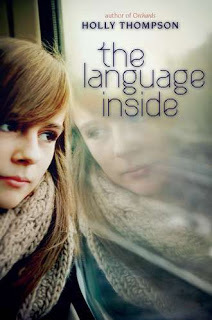 The story is about language, communication on many levels, displacement and finding home(s). The richly multicultural city of Lowell, with its significant Cambodian population, was an inspiration, as were my trips to Cambodia—these all gave rise to the character Samnang, Emma’s friend in the story. 6. You live in Japan now, don’t you? Where were you from originally and why did you decide to move there? I was raised in New England, but I’ve lived in Japan two different times for a total of over 18 years. My husband had already lived there when we met and was eager to go back, so we spent three years teaching in Japanese public high schools early in our marriage, then moved to New York for a number of years. We moved back to Japan when our children were young—and we’ve stayed there since. The culture, language and geography have deeply influenced who I am today and play into all of my poetry and fiction. 7. What was the cultural change like for you, and how did that affect your writing of Emma’s journey in The Language Inside? Emma is bicultural and bilingual, though not biracial. Internally she feels Japanese, although she is not Japanese. Her situation is similar to my daughter’s and that of other children raised outside of the home culture of their parents. When Emma moves to the U.S., the place of her birth, she feels displaced and disoriented, and is acutely homesick for Japan. Though I was not raised in Japan, having lived in Japan for so many years, and having raised my children in Japan, I experience similar sorts of culture shock whenever I am back in the U.S. Like Emma we always miss Japanese food! 8. What do you think the difference was between you, moving to Japan, and Emma, moving to America? Was that difference hard for you to understand and write about? Emma’s situation in Massachusetts is that of someone who does not appear to be an outsider—she’s a Caucasian American who speaks fluent English—and although she is expected to feel and behave like an American, she feels completely like an outsider. She is an invisible bicultural in the U.S., and people around her don’t see or expect her to identify as an outsider. Americans can be frustratingly uncurious about life outside the U.S., and for a teen from another culture, that lack of curiosity can lead to intense feelings of alienation. In Japan I am visibly an outsider, and will never be accepted as an insider, regardless of how long I stay. I am often “other”ed, and am lumped together with non-Japanese people of all different backgrounds and races. Non-Japanese are all others, gaijin, together—this is why Emma finds the “white girl” references so startling—she’s never really felt herself being defined by her race. In Japan I’m considered an outsider within groups of Japanese even when I feel like an insider, but I’m considered an insider with groups of non-Japanese of all different backgrounds. Whenever I return to the U.S., I tend to feel a bit like Emma—an outsider in my home country where people think I ought to feel like an insider. It’s complicated! 9. 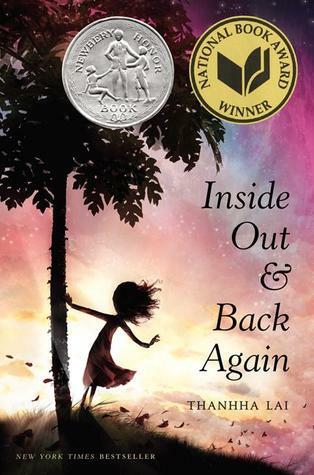 How do you feel about the themes of immigration, displacement and fitting in in young adult literature? Do you think that Emma’s voice is an underrepresented one? I feel that mixed culture kids and cross-cultural experiences are so common these days, yet mixed culture characters and cross-cultural novels are still few and far between. And stories set in cultures outside the U.S. are rare in YA literature. I hope that we’ll soon start to see more variety of experience in YA lit. I’d love to see more YA characters with varied backgrounds, more mixed characters, whether mixed by heritage or by life experience. 10. Friendship is really important to Emma’s choices about where she wants to live. Is this a common thing for many young immigrants, do you think? I think the need for friendship motivates all teens, immigrants included. Teens want to feel that they belong, that they are accepted, wherever they are. Samnang plays a big role in Emmas’ decision, but the decision was especially painful because Emma realized quite keenly her love for Japan after the tsunami and earthquake of 2011. 11. Who was your favorite character to write? I’m not sure who was my favorite—at different moments I’d say Emma, at others Zena and at others Samnang. Samnang was certainly the most fun to research—he led me to the Angkor Dance Troupe in Lowell and to the Royal University of Fine Arts in Phnom Penh, as well as a small Cambodian village to better know his mother’s experience. 12. What part of the story was hardest to write? What kept you coming back to it, even when it got hard? 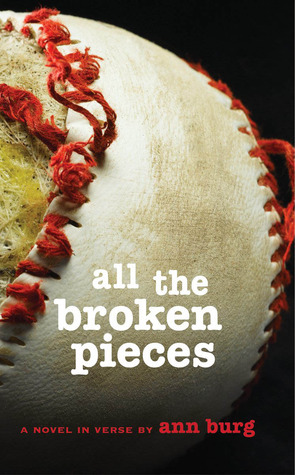 Weaving together all the different plot elements was an enormous challenge—the story touches on illness, genocide, alienation, displacement, home, love—big topics! Braiding together all the elements took time and patience. The story also includes examples of poetry, so all of that poetry had to be written or referenced, and, of course, the story is told in verse. There was nothing simple about writing this novel! Thinking of Julia Tavalaro, as well as thinking of the victims of the Tohoku earthquake and tsunami, kept me persevering. 13. Do you have any future projects that you’d like to drop some hints about? My third verse novel is about a non-Japanese boy in a Japanese school who practices aikido hoping it will help protect him from the rough kids. Again there are insider/outsider issues. And I’m working on a time travel novel and another set in two different time periods that intersect. Lots to do! Thank you for this, Holly! I hope you all learnt something about this awesome woman and her awesome verse writing! Now, to accompany Holly’s interview, I’m going to give you a quick reading list of more books on Immigration and Displacement in verse, so if you loved The Language Inside you’ll be sure to love these jems as well. 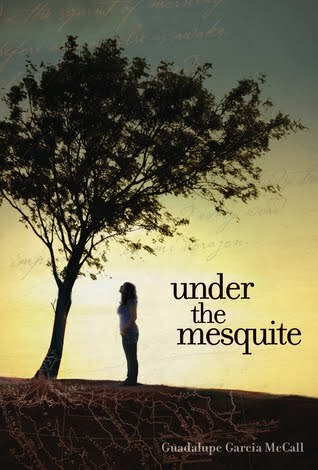 Under the Mesquite by Guadalupe Garcia McCall, Inside Out & Back Again by Thanha Lai and All the Broken Pieces by Ann E. Burg all focus on immigration in the way we commonly think of it: people from elsewhere moving to the US. Most YA verse is contemporary, I’ve noticed, so it was interesting that, not one, but two of these novels take place during the Vietnam War. Now, these three focus on people who have spent their lives in one place moving to another. I wouldn’t call in immigration, exactly, as these characters do not plan to settle in these new places, but are simply forced to live their for a time. 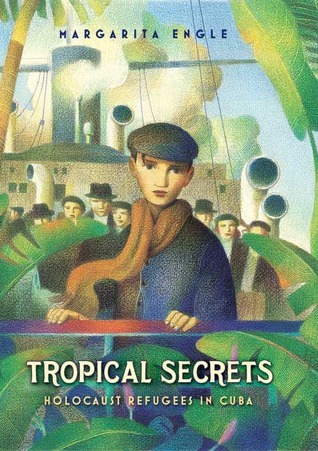 Tropical Secrets by Margarita Engle focuses on German Holocaust refugees hiding in Cube during WWII. 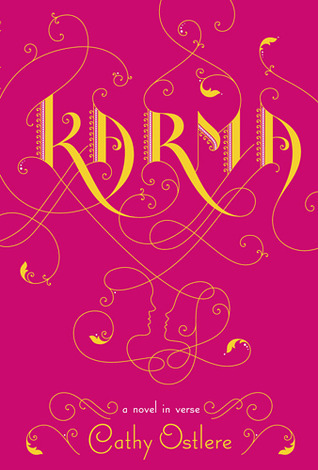 Karma by Cathy Ostlere deals with a young Indian-Canadian girl during the turmoil in India in 1984 (look, two more non-contemporaries already!). 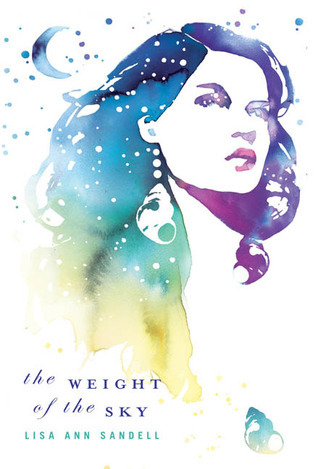 The Weight of the Sky deals with a young girl who leaves her small life behind for a summer in Israel. The theme is in the title, ladies and gentlemen! 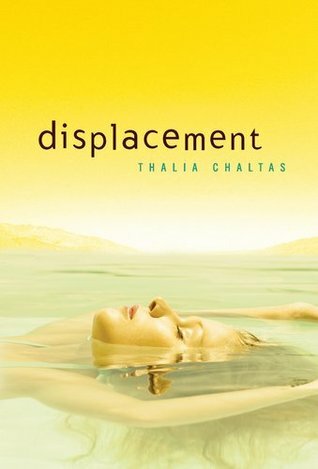 This book has no changing of countries, but rather leaving behind one’s home – displacement. Funny how that worked out! That’s all for today! I promise the posts will be more frequent as we near the end of January: diVERSEity month. I hope you’ve all found something new and exciting to read today!